This is a great deal that you can snag on Amazon right now. It would be perfect to use when shopping or even for laundry! You can get the GoCart Red Grocery Rolling Cart for only $17.99! The telescopic handle reduces stress on the joints by pulling more weight with less effort. The cart is made of Hard ABS Plastic with a weight capacity of 100 lbs. The heavy duty wheel tread allows for an easier roll across surfaces. You will be saving 55% on this purchase because it is normally $39.99! Make sure that you grab this deal on Amazon soon because the prices can change at anytime! 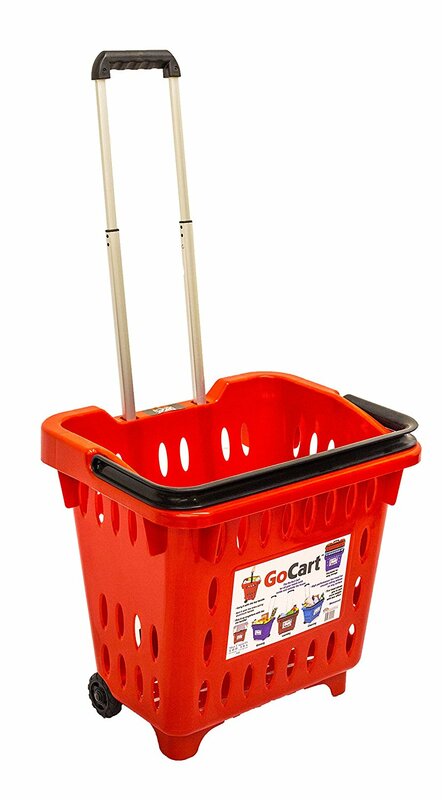 CLICK HERE TO ORDER the GoCart Red Grocery Rolling Cart for only $17.99 today!